A six session, Bible-centred course for small groups – from Biblical Counselling UK and New Growth Press. Whether we are new Christians or mature, we all have areas of our lives which need transforming. Some of us tend towards anger or impatience, others towards jealousy or discontent. Some of us struggle with addictions and, in different ways, all of us still harbour pride in our hearts. God is not planning on leaving us this way! As Philippians reminds us, God is going to bring to completion the good work he has already begun in us (Phil 1:6). But how does this process of change work? Based on the “three trees” model from CCEF, Real Change is a course for anyone who wants to find out how the gospel changes us from the inside out – anyone who wants to take a look at what is going on in their heart and grow with God’s help to see Real Change. The course is designed to be used within a local church (or other grouping of Christians). It can be used with groups as small as 4 or groups as large as 40 but the ideal size is probably in the region of 10-20. It is a course that is designed to be led from the front – that means that you will need one or two people to lead each week: giving biblical input and facilitating discussion. You will need a handbook for each participant (including the leader). Watch Helen Thorne and Andrew Nicholls talking about the course. Listen to Andrew Nicholls’ seminar on using Real Change. What does real change look like? The new edition of Real Change is available from 10ofthose. 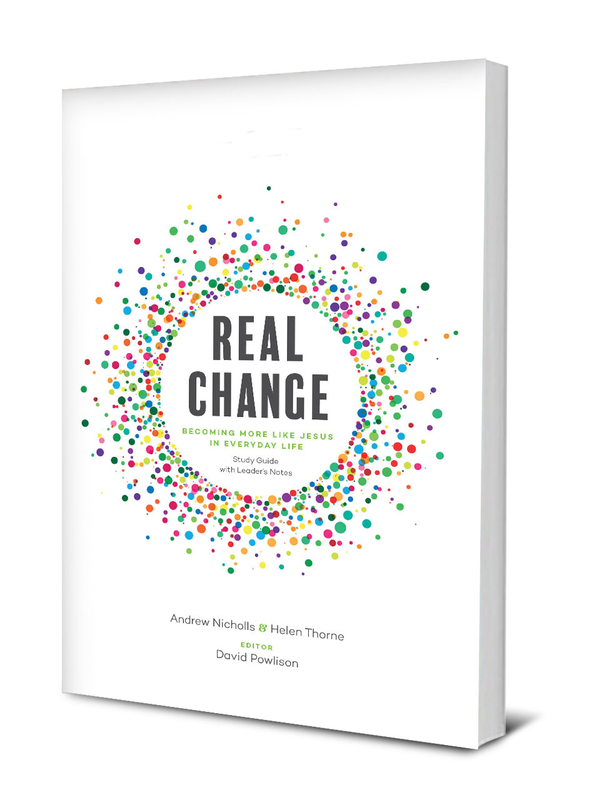 This new, updated edition of Real Change is now a self-contained resource and includes leader’s notes. Previous users of Real Change will notice that Section 4 has been substantially re-written and the main diagram now makes the work of the Spirit clearer.